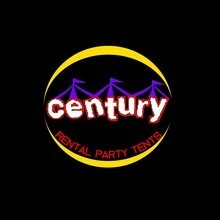 Century Rental Party Tents is a new company but our employees come with over 10 years of experience and we guarantee our work. We rent Tents for any kind of even you might be having, from employee appreciation in the parking lots to a birth day party in your back yard. If you need chairs or tables also please feel free to ask us and we can get them for you as well, please call for a free quote. CENTURY RENTAL PARTY TENTS, WERE A GREAT EVENT STARTS.